Kris Wall Minis: Heralds of Ruin - Week 3, FIGHT! Week 3 came and went in our kill teams campaign. I lost, leaving me with a 1:3 record. It was a close fought battle, though. Had my opponent failed an injury roll at the end of the game, I could have won. I'll run down the results towards the bottom. This week, we played a mission called "Take and Hold". It's a custom mission from the Heralds of Ruin rules. The way the mission works is that we take turns placing five pieces of terrain that will represent five objective buildings. After that, we load up the board with terrain, as per normal for a kill teams game. Deployment zones were in opposite corners. My kill team consisted of my two Siege Tyrant Terminators, 5x Bolter Dudes and one Plasma Dude. 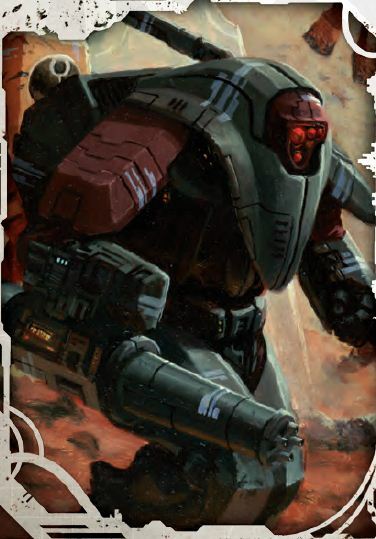 My opponent had 2x Crisis Suits, one of which had the 2+ Sv, 5 T upgrade. Both had high strength, low AP weapons. He also had a Stealth Suit with a Melta weapon, something like 7 Fire Warriors and 6 Kroot. He got to deploy and go first. We both deployed in the single building in our deployment zones. Ok... now onto the game. My phone was DEAD, so I wasn't able to take any pictures, but I'll try to give a good run down as I remember things. His Stealth Suit and a Kroot infiltrated behind my lines, lining up a clear shot on my leader. Fortunately, he missed. His other Kroot and Crisis Suits ran/jumped forward, towards three of the open buildings... but didn't quite get there. All told, not an effective first turn. I took the Sprint upgrade for my Marines, effectively giving them a 15" (6" move + 9" run) move as well as Hip Shooter, which allows them to Snap Shot after or before running. I was able to run forward, claiming two of the contested buildings with two Marines each AND was able to Snap Shot a Kroot to death, giving me First Blood. My Siege Tyrants were also able to fire two Krak missiles into a pair of ambitious Fire Warrior Breachers, resulting in a couple of Tau sized craters. This is where things started to go south for me. On turn 2, that Stealth Suit made his shot and killed my Leader. Strength 8 weaponry is the bane of multi wound Toughness 4 Terminators. For the rest of turns 2 and 3, we each kept our initial building and traded shots over the two I claimed. He got some Kroot inside both buildings, meaning that they were contested. The central building went unclaimed. The score was tied at 1 to 1 for most of the game. Realistically, I should have fled the battlefield at the end of turn 3, but that's not how the Iron Warriors operate. With only 8 starting models, there was no real way I was going to be able to take and hold multiple objective from a highly mobile Tau army with Jet Pack guys and Infiltrators. I could do one thing though... take out as many of those Xenos bastards as possible! One of his Crisis Suits was left out in the open for one round. It was the only shot I was ever able to line up, but a stray Krak missile doubled out his toughness and killed him. I also killed something like 4 Fire Warriors and all of the Kroot he brought to the table. I ended up loosing my Leader, my Plasma guy and four of my Marines. As my last shot of turn 5 was being rolled, he held two buildings, I held one and the other two were contested. My remaining Siege Tyrant scored two directs hits on the two Fire Warriors holding one of his buildings and wounded both. Unfortunately, the injury table was against me and one was merely knocked down. Had I rolled a 5 or 6, the Fire Warrior would have been removed as a casualty and the game would have ended in a tie. As it was, it ended with his 2 buildings to my 1. He won, but by a narrow margin. He took 2 Renown Points which will let him build out his base and field 300 points in the next game. I took 1 Renown Point, which means I'm stuck at 250 for now. On the permanent injury table rolls, I lost 2x basic Marines. He lost 2x Fire Warriors and 4x Kroot. That's 24 points of my models permanently gone versus 30 points of his. A decent trade, I guess. From a Requisition Points standpoint, I got 15 and he got 21. That's not a big spread. In essence, he lost 6 more points of models, but also gained 6 more Requisition Points that can be used to repair models. From that standpoint, it was a pretty even game. I used 12 of my 15 points to recruit a new Bolter Marine. That leaves my force at exactly 250 points. I had 262 going into this game, but only fielded 217. My Apothecary had been forced to sit out due to a temporary injury. 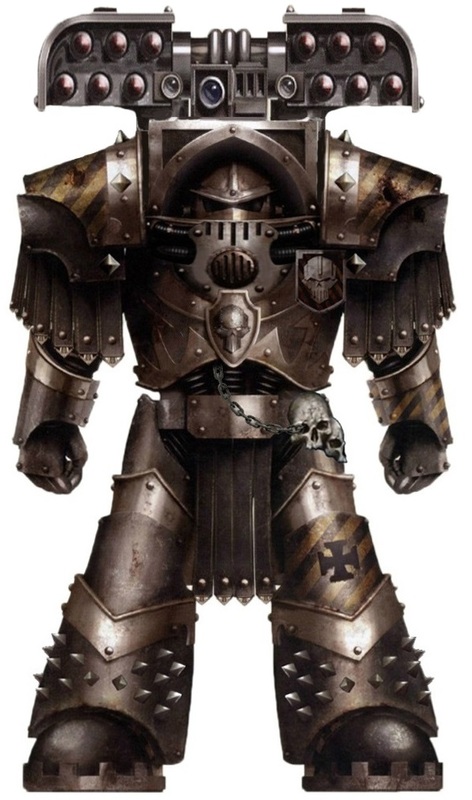 Next week is the Iron Warriors vs. the Imperial Guard. Stay tuned!